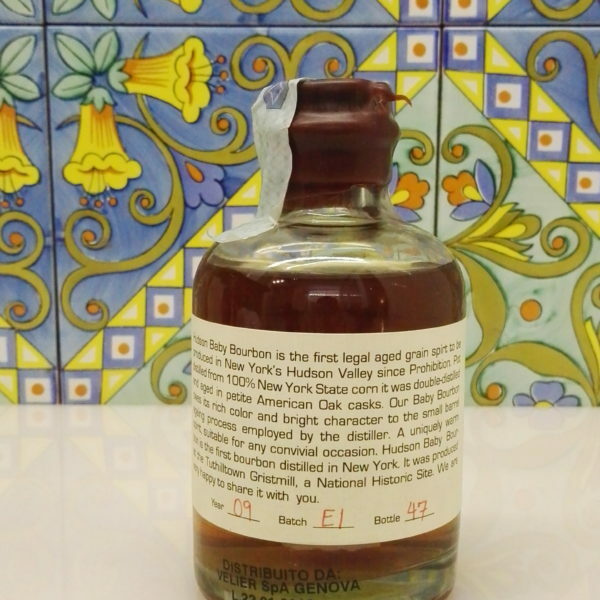 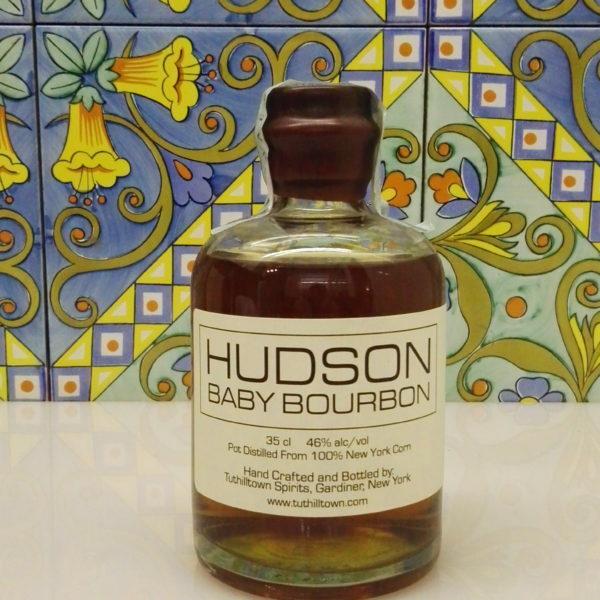 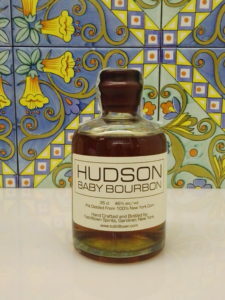 Whisky Hudson Baby Bourbon Vol.46% Cl.35. 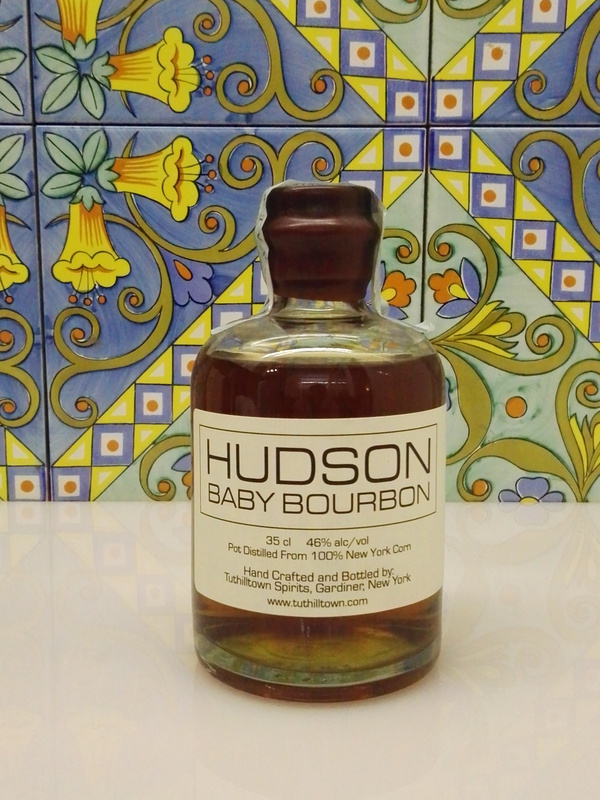 Hudson Baby Bourbon is the first legal aged grain spirit to be produced in New York's Hudson Valley since Prohibition. 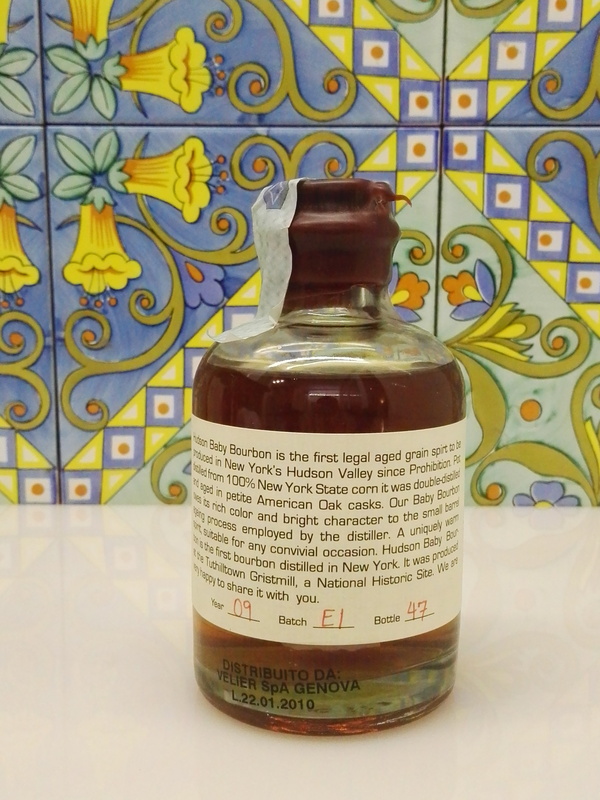 100% New York state corn. 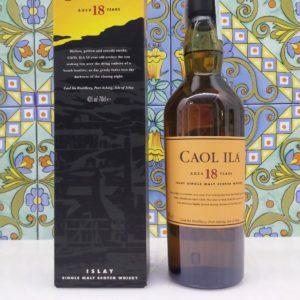 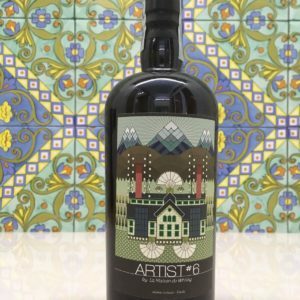 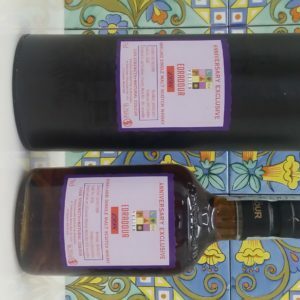 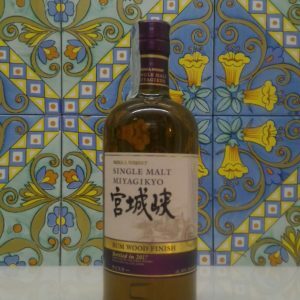 Years 09, Batch EI, bottle 47.